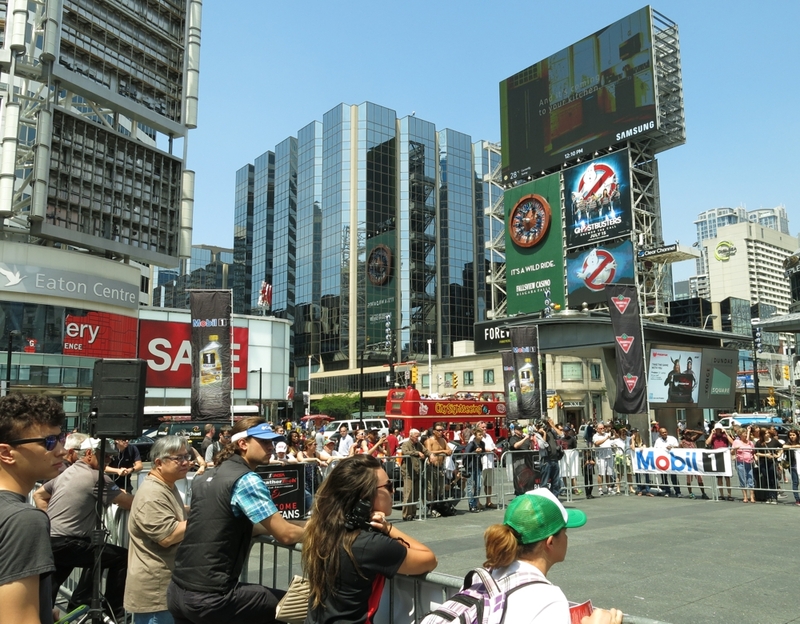 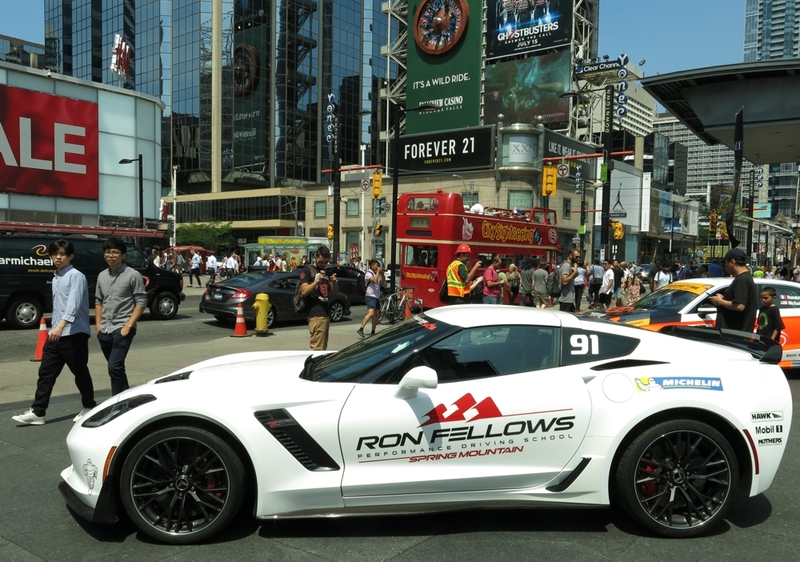 Ron Fellows brought out the awesome power of his race car from the Canadian Tire Motorsport Park to the urban park at Yonge-Dundas Square in Toronto. 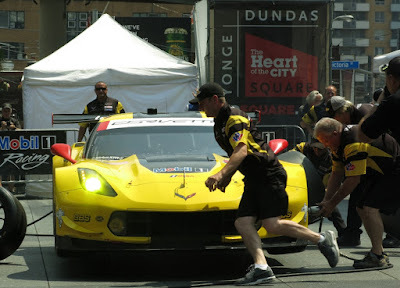 Revving his car, he peeled out and let his pit crew show off their stuff as they changed the tires in blistering speeds and sent him on his way out of the temporary corral. 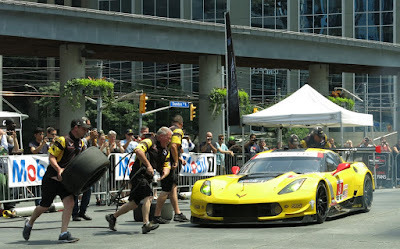 The warm ups are in preparation for the July 7-10, 2016 IMSA WeatherTech SportsCar Championship, the only Canadian stop for the exotic prototypes and GT race cars. 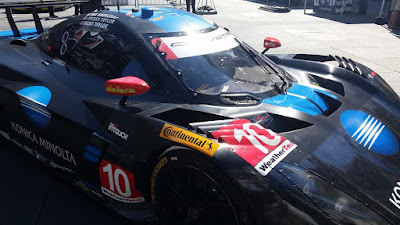 The four day event also features the Continental Tire SportsCar Challenge, the IMSA Mazda Prototype Lites presented by Cooper Tires, the Battery Tender Mazda MX-5 Cup presented by BFGoodrich and the Nissan Micra Cup. 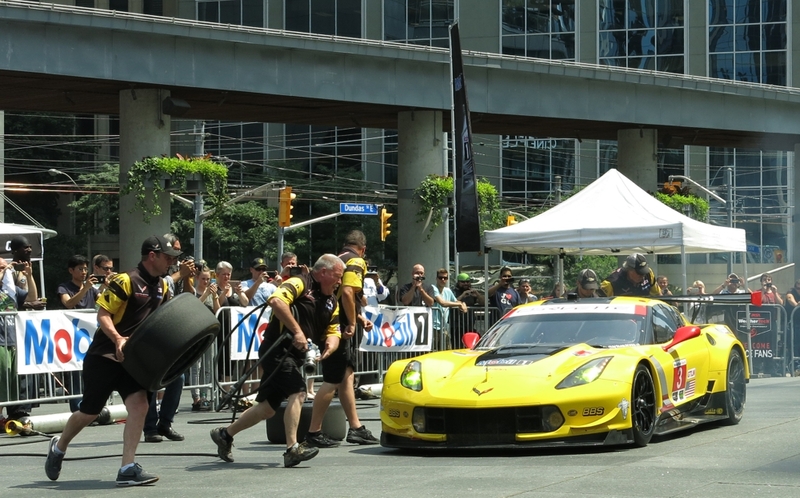 Several top drivers were also on hand for meet and greet and autograph sessions, mixed in with race car displays from the Mobil 1 SportsCar GP weekend.